I’m reaching out to you because I know singing is a passion for you and your readers. Yesterday, December 1, 2010 Avon launched a global online singing and songwriting talent search, Avon Voices. What makes Avon Voices so special is the passion Avon shares for igniting the voices of women in more than 60 countries along with the once-in-a-lifetime opportunity to be featured on a professionally produced album. Not only will the performances be seen by millions of participants around the globe but an all-star cast of music legends will be judging the talent search; Fergie, six-time Grammy Award winner, Diane Warren, legendary songwriter, David Pack, famed music producer and Sheila E, award-winning musician. Avon Voices is about more than providing a showcase for undiscovered talent. Throughout the year, music will be available for digital download in certain markets (or countries), with a percentage of proceeds supporting the Avon Foundation for Women’s global campaign to end violence against women and girls. To date, Avon global philanthropy has raised and awarded more than $30 million directed to domestic and gender violence awareness, education, direct services and prevention programs. We would love for you to share the details of this amazing global program with your readers. Below are a few specific details. You can also check out Avon Voices Facebook and Avon Voices Twitter for talent search information and breaking Avon Voices news as the campaign commences. Also, photographs and video of Avon Voices launch are available! Please share these Wireimage photos of Fergie as well as video b-roll from the launch. • Sing: Women are invited to participate in the online Singing Talent Search by choosing a song from the website and uploading a submission video through February 13, 2011 at AvonVoices.com. • Vote: Everyone can be a talent scout and recruit all of the talented people they know, watch videos, and vote for their favorite Avon Voices contenders to help decide the outcome. From April through October, the search will be narrowed down four times by a combination of online public voting and judges’ scores. (Official Round One voting begins April 22, 2011). • Write: Women and men may enter the Songwriting Competition. Write an original song that inspires or shares hope and optimism with the world. Simply submit a digital file and lyric sheet at AvonVoices.com (between May 20, 2011 and July 1, 2011). We would love for you to share the news about the Avon Voices talent search with your readers. 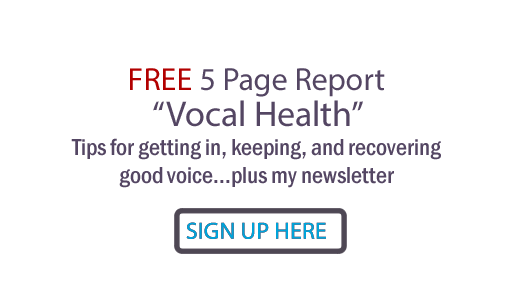 Singers With Breathing or Rhythm Issues: Dance! Why is Gladys Knight So Good? Stomach bug and have to sing? Do You Really Have To Play THERE?